As Indian Air Force’s squadron levels fall dangerously low to 30 squadrons or less, FORCE takes a look at the impending 110 multirole fighter contract which can provide much needed succour to the IAF. Despite a sanctioned strength of 42 fighter squadrons, Indian Air Force’s strength is slowly eroding as it retires its Soviet-era MiGs. With squadron levels hovering dangerously at the 30 or even less, the IAF is facing a dire need for fighters to up its numbers. And the fact that IAF is constantly losing fighters to accidents is only making things worse. The recent loss of a Mig-27 UPG and before that the loss of an upgraded Mirage-2000 is only adding to IAF’s troubles. The Times of India states that the IAF has lost 27 aircraft to accidents in the last four years. Many of these aircraft were MiGs that were supplied by the erstwhile Soviet Union. In the Nineties, acquisition of new aircraft was halted due to massive budgetary constraints. The dissolution of the Soviet Union in 1991 led to bigger problems as IAF’s MiGs started facing shortages of spares. Since the deal for Mirage-2000s in the eighties, India did not buy new aircraft until 1997 when it decided to purchase Sukhoi-30s from Russia. In 2008, India first floated the MMRCA tender to reequip the IAF and replace its ageing MiGs with 126 new multirole fighters. The MRCA tender was floated to fill the gap between IAF’s future Light Combat Aircraft and its in-service Sukhoi Su-30MKI air superiority fighter. In 2012 it was announced that France’s Dassault had won the contract to supply IAF with 126 Rafale multirole fighters. The final shootout was between EADS Eurofighter Typhoon and Dassalt Rafale which saw the latter win due to its operational performance during the Libyan campaign and in Afghanistan. Also, the IAFs Dassault Mirage-2000s performed admirably during the Kargil campaign influencing the IAFs decision to plump for the Rafale. The ability to integrate Indian, Israeli, and Russian sub-systems onto the French made Dassault Mirage-2000 also perhaps helped influence IAF’s choice. 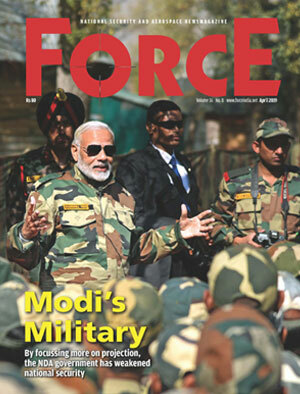 But the MMRCA deal was not to be. 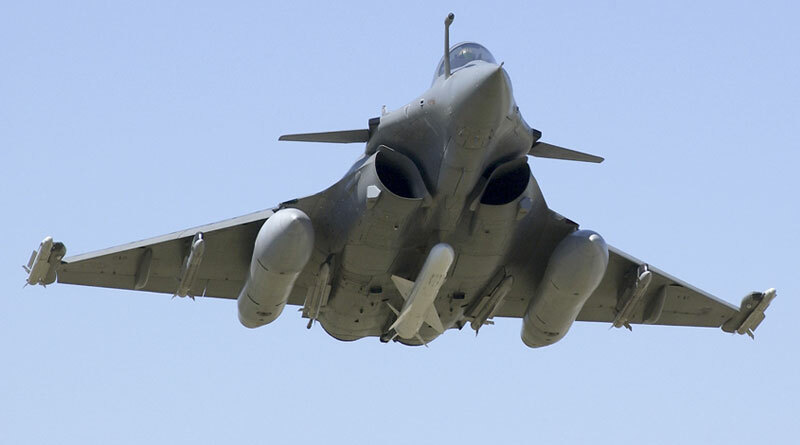 Cost escalations led by Dassault’s refusal to provide guarantees for the Rafales that were to be manufactured by HAL led to the scrapping of the deal in 2015 when then defence minister Manohar Parrikar sated that the deal was officially being withdrawn by the government. Later that year, Prime Minister Narendra Modi made the decision to acquire 36 Rafales directly from France. He claimed this decision was taken due to operational necessity. The deal was signed and has since then snowballed into a massive controversy over the humongous price of the fighters which amounts to Euro 7.87 Billion. Despite this decision by PM Modi, 36 Rafales are hardly close to what the IAF needs. These Rafales will only make up 2 squadrons of 18 fighters each which will barely make a difference considering India needs a minimum of 12 squadrons of new fighters. The Diplomat clarifies that according to the RFI, the IAF is seeking to procure 82-83 (75 percent) single-seat fighter jets and 27-28 twin-seat variants (25 percent). At Aero India this year, the Russians offered their latest multirole fighter- Sukhoi-35 for the 110 multirole aircraft tender. Despite all these efforts IAF will still face a critical shortage of aircraft even in the near future as it retires ageing MiG-21 Bisons and Mig-27MLs that it had procured from the erstwhile Soviet Union. It is imperative that the 110 multirole aircraft deal competition is wrapped up as soon as possible and L1 bidder is quickly chosen as this will be followed by protracted financial negotiations. And this time, unlike the last, hopefully there is no controversy.